As we covered in our previous article on lead management, the speed of lead follow-up is one of the most important factors in driving more conversions. And in the lifecycle of leads that begins after capture and includes lead enrichment, lead-to-account matching, lead routing, and ends at follow-up, uploading lead lists is the very first step in the process. Until your leads are actually ingested into your marketing stack, you can’t enrich them, route them to sales, or follow up with them. You’ve probably seen this screen before. It’s probably not a welcome sight. We’re sorry. However, since marketing teams are always on the hunt for new leads, most teams source their leads from multiple channels, including email, social (paid and unpaid), search (again, paid and unpaid), events, webinars, and many others. The process never ends, and it often means painstaking manual work double-checking and vetting lead data spreadsheets. Some estimates suggest that companies spend upwards of 40 hours per month processing leads for upload. As we mentioned earlier, letting leads sit for as little as one hour makes you 7x less likely to ever speak with a decision maker, and puts your sales team that much farther from turning any of those costly leads into actual closed-won deals. What if you could automatically complete every step of this process in minutes, not hours? A General Automation Platform (GAP) is built specifically to integrate cloud-based applications like your MAP, CRM, outbound email automation, and others. GAPs also automate the entire process to take place whenever you need, such as an instant response to any incoming lead, or to process in batches on a regular schedule. The best ones also have advanced helpers to seamlessly sync, cleanse, and flow data, and can even accept lead lists in a variety of different ways, such as via FTP, webhooks, or even submitting them via email (as we’ll cover in our example below). For a deep-dive on GAPs, please see The Beginner’s Guide to General Automation Platforms. 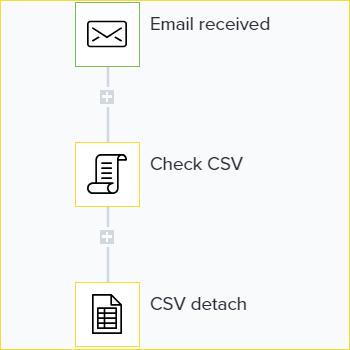 Email trigger: The process starts with an email trigger whenever someone emails a new lead list in CSV format to an email address specific to this workflow. The sender could be a member of the sales team uploading the spreadsheet from their badge scans after an eventful day at a conference, a marketing operations manager pulling in leads from a successful campaign, a third party lead vendor, or even an external contractor submitting manually-enriched leads. 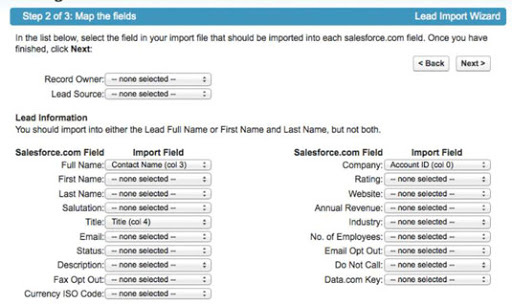 Check CSV: This step uses an automation helper to verify that lead data is properly formatted for upload. CSV Processor: This step uses an advanced helper that processes CSV files. Since each lead in the CSV will have its own row with information including first name, last name, email address, and other details, the helper begins the process of pulling the lead data, row-by-row, from the submitted spreadsheet. Loop helper: The loop helper iteratively runs through repeated processes until they’re complete. In this case, it uploads row after row of leads from the submitted CSV file. Text helper(s): The last two steps here are text helpers that verify and properly format the lead owner field. 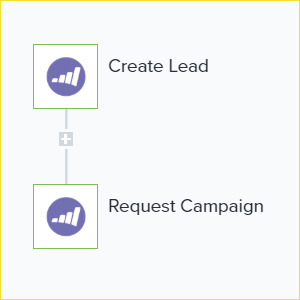 Create lead: This workflow step creates a new lead record in the marketing platform (in this case, Marketo). 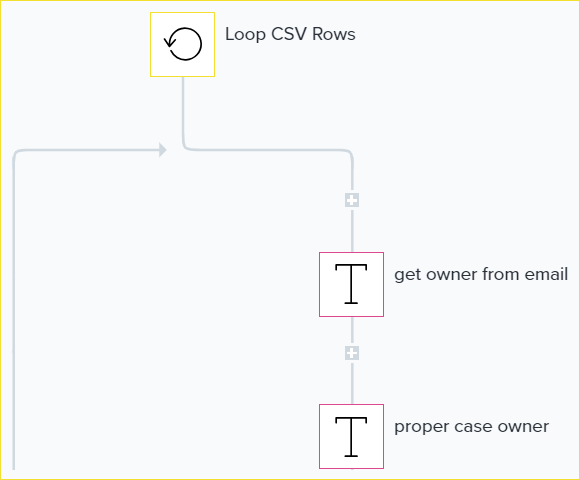 Request campaign: Finally, the workflow triggers appropriate campaign follow-up within Marketo. This workflow runs within minutes and lets us take in lead lists from any source and rapidly upload them into our system to create new lead records for follow-up. While this is one way to approach this important use case, the flexibility of a GAP lets users take many different approaches. Read how Outreach automates lead list uploads to see how the outbound messaging leader uses webhooks to save hundreds of hours per year. To see a General Automation Platform in action, join a weekly group demo. All the latest product news, tips and tricks direct to your inbox weekly. You can unsubscribe when ever you want!